The grand manner is implicit in Petr Vronský’s opening of Saint-Exupéry. Cellos and basses are deep yet pianissimo, as specified; yet the first tutti reveals a large orchestra, powerful but dense in texture. Wind instruments tend to blend in and the horns, also important partners of the piano trio, shine equally in this capacity as they do in other modern orchestra performances. True, Babin may have marked down their dynamics, but Petr Vronský doesn’t always factor that in. The ‘briefly played soli’ by soloists, if you can call them that, a more closely placed and dramatically so, in the first movement as well as in the other two (in “Saint-Exupéry: De Cœur, De Sable et D’Étoiles”, that is), are individually and collectively very good. While none are credited here, it is clear that strings and brass are key and their unobtrusive virtuosity pays dividends especially in the vaunted traceries of the slow movements. “Les Adieux de Petit Prince” is profoundly beautiful and the final movement “La marche des hommes” is swift and peremptory but this is nevertheless an accomplished performance. So is that of “Coleurs” and “La Suite du promeneur”, recorded in a drier acoustic. Orchestral lines register more clearly and as in the case of the latter, especially, none of the strings are forward of the ensemble. Tastefully and artistically these are blended in as contrasting colours in a canvas often are in both pieces. The instrumentalists’ technique is unassailable and they are inside the heart of two emotionally knotty works. Flanking a brooding “Coleurs” (oboes and clarinets sumptuously laid out) are the Saint- Exupéry suite and “La Suite du promeneur”. It pays to reiterate that these are works of sombre potency, and all require an inhibited interpretative commitment that the instrumentalists – to a man and woman – are able and willing to give. 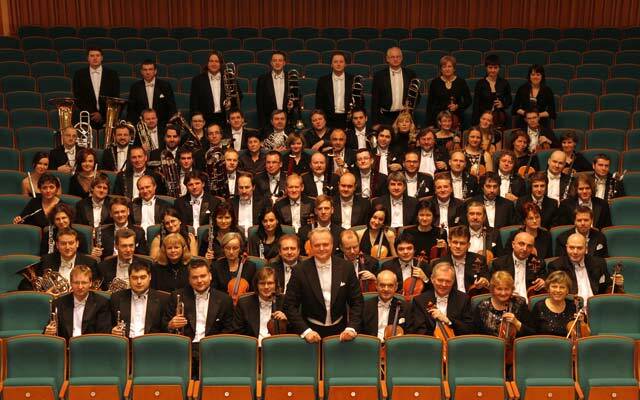 They all stand forward, giving the music the full weight of insight – which Petr Vronský appears to endorse. 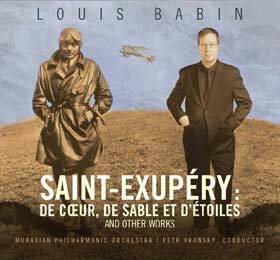 These are richly adorned works by a startlingly original composer – Louis Babin. Their performances together with the recorded quality of the programme – the finest you can imagine – make a compelling case for this disc.